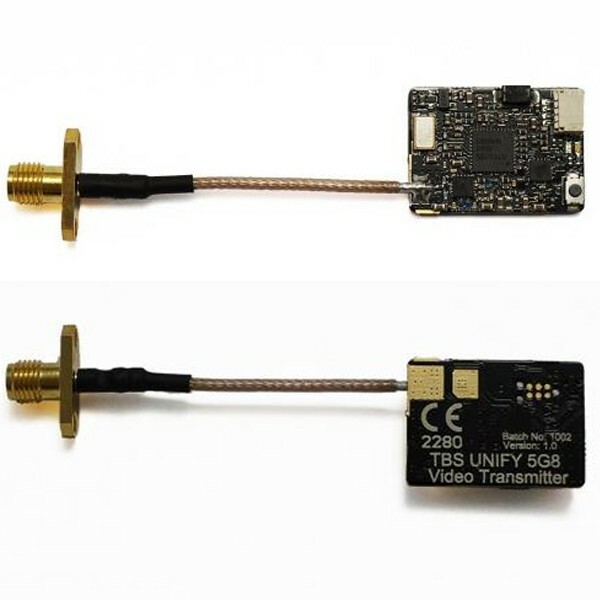 The smallest, lightest 40ch video transmitter on the market also happens to be the most powerful. Coincidence? Not at TBS! With only 5g and a 17x25x4mm form factor, your quad will barely notice it's there. The 25mW - 800mW adjustable output power allows you to race with friends and penetrate serious concrete with just a few pushes of a button (or using the CORE PRO OSD menu). The 40CH coverage gives you the freedom to fly at any race without having to resort to video transmitter swapping practices (*). A recent hardware revision on the CORE PRO enables direct communication between OSD and video transmitter. Take advantage of changing bands, channels, output power right through your remote control. Other cool stuff such as custom LED colors on your quad depending on the frequency you selected makes it easy to detect possible interference between two quads just by judging the LED color similarity. Together, the setup becomes better than the sum of its parts.